Katelyn Louise Smith , our beloved daughter, sister, and friend, passed away on April 8, 2019 at the age of 19. 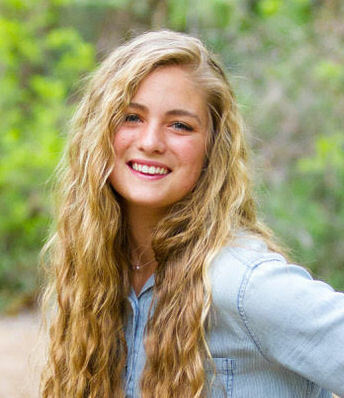 Katie was born March 23, 2000 in Layton, Utah. Katie was attending Snow College at the time of her death. She passed away having fun. Katie was known for her adventurous spirit. Her beautiful, short life ended in an ATV accident. Katie is the daughter of James and Nannette Smith of Centerville, Utah. Katie has 4 older brothers Brandyn (Jessica), Korban (Maddie), Austin (Danielle) and Justin (Kylie). She has 2 nieces, Ruby and Meili Smith and one nephew Max Smith-children of Brandyn and Jessica. Grandparents are A. Keith & Nedra Smith and Robert & Joane Sandberg. Katie was very athletic. She especially loved soccer and track & field where she was a member of the Lady Vikes Soccer team and the Viewmont track & field team. Volleyball, and water & snow sports were also some of her favorites . She loved camping and hiking. She loved spending time with family-especially playing night games, and airsoft battles. She loved to play with her nieces and nephew. Katie was one week away from submitting her mission papers. Katie lived life to the fullest, always looking for the next adventure. Katie was a 2018 Viewmont High School graduate. She was working hard to graduate from Snow College in May 2019 so she could have her associates degree before serving a mission. Katie will always be remembered for her joyful, fun loving, selfless, spirit. Katie was a bright light in our lives. She will be dearly missed. A viewing will be held Friday, April 12th from 6:00-8:00 pm at the Canyon View Stake Center, 2110 North Main Street, Centerville, Utah. There will be another viewing on Saturday April 13th from 9:30-10:30am. The funeral will be held at the same location at 11:00 am. under the direction of Russon Mortuary, 295 N. Main Street, Bountiful, Utah. Interment will be in the Centerville City Cemetery, 650 East 400 South, Centerville.